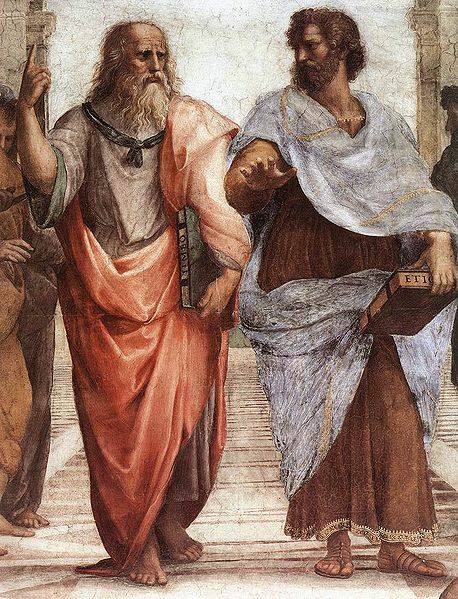 Plato was a (~424/423 BC - ~348/347 BC) was a Greek Philosopher from the Classical Era. A student of Socrates, he excelled at mathematics and logic. He was the founder of the Academy in Athens, the first "college" in Western civilization. He is famous for his philosophic dialogues. With his teacher Socrates, and his student Aristotle, he was part of the trio that laid the foundation of Western philosophy and science.